The thoroughly factually-titled November 1981 features a combination of live and studio recordings made in Italy that month. The double-LP release featured the studio tracks on the first disc and the live tracks on the second, while the CD release put the live recordings first (minus some stage announcements) and the studio recordings last. The quartet of Dixon (t), Alan Silva (b), Mario Pavone (b), and Laurence Cook (d) has a good feel for each others’ talents. The two-bass lineup is reminiscent of the quartet Ornette Coleman led in the late 1960s — a bootleg of a Rome concert of that quartet came out in 1977. The bassists are able to alternate between pizzicato (plucked) and acro (bowed) playing, so that they avoid blending together too much. And yet the two bass lineup keeps the brightness of Dixon’s trumpet in the foreground. As usual, Dixon plays whinnies and squeaks, plus the occasional melodic figure, using space to structure his performances as much around what he doesn’t play as what he does. Cook plays decisively yet unobtrusively. Silva and Pavone add a lot in terms of distinctive riffs and textural coloring. Between the bassists and the drummer, at least one player always seems to suggest (if not outright deliver) some type of syncopation, which gives the music a sense of engagement, despite the highly abstract solos. On the whole, this music is characterized by each player making independent contributions that work together. Likely as not, at any given time there are multiple solos occurring simultaneously, without any player relegated to “accompaniment” as such. The results are dense, but given the way the doubling up of bassists makes this sound almost like a trio, it is not overpowering. The recording fidelity is very good, minimalistic with a deep low end and an almost ominous feeling. 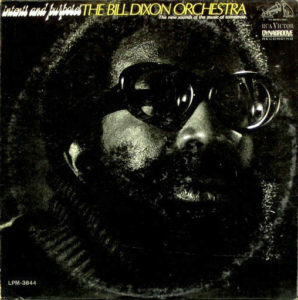 Dixon largely eschewed marketing and commercialism, and as a result his name and recordings are less known than they might be, though he remains one of the singular talents of the free jazz era. During the entirety of the 1970s, for instance, he released only one album under his own name (though archival recordings from that decade were later released). His recordings on the Italian Soul Note label, like this one, are the most widely available. Dixon had worked toward the sound employed here for some time, and these performances might be considered the culmination of that effort. In the coming years he would make music that was more abstract, without the grounding and contrasts of the syncopation from the rhythm section — not necessarily better or worse, just different. 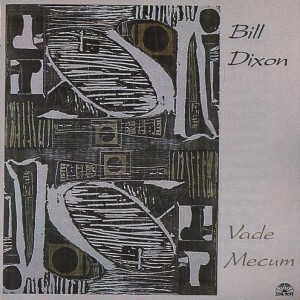 November 1981 is definitely a highlight in Dixon’s discography, and one of the more interesting and unique offerings in 1980s jazz. Dixon employs a very conversational style here. He plays at a pace that lets things unfold very slowly, as if there is no rush to get anywhere in particular. Tony Oxley provides a more inquisitive reaction to Dixon’s statements, as if always asking, “Tell me more.” Count this among Dixon’s better late-career albums. 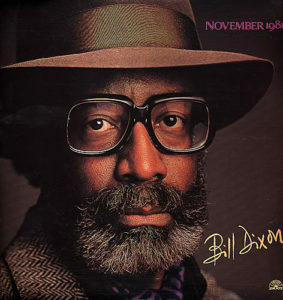 Bill Dixon was an interesting musician. Dropping almost entirely out of the public eye for long stretches, his recorded legacy is quite modest for a talent of his stature. His playing, on trumpet especially, unfolded slowly, full of space for contemplation. He played like he had all the time in the world. There really wasn’t any flash or any crowd-pleasing gimmickry. It all came together in a way that made Dixon stand apart, with a style that was quite unlike any other in jazz. That’s actually worth saying again. 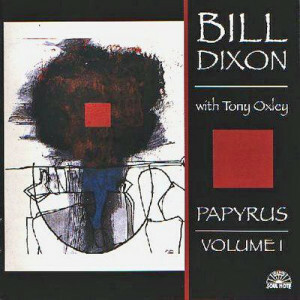 Dixon really represented a major, unique voice in modern jazz, as distinct and important as Ornette, Ayler, etc. Although he was definitely part of the experimental wing of jazz players, his music wasn’t quite as difficult for conservative tastes as some other practitioners of the new thing. There was an almost orchestral conception to what he did that makes his work palatable to listeners who appreciate Euro-classical music. Here he plays trumpet with electronic processing. But unlike most players using such effects on a wind instrument he doesn’t seems to take any influence from rock music. Vade Mecum is well worth the effort for anyone interested in refreshingly original music. It’s one of Dixon’s very best.